One of the least appreciated technologies of our time has got to be the Bluetooth protocol. Since its debut in 1994, it has enabled the development of all manner of wireless devices and apps. Most are familiar with Bluetooth as the technology behind wireless headsets used by millions around the world. To fully harness the awesome power of Bluetooth, you need a little software. Here are 5 exemplary Android apps to help you get the most from your Bluetooth headset. If you spend a lot of time on the go and like to keep in touch with your contacts at the same time, SuperBlue Free Bluetooth Chat is the logical software choice. Once installed, it will allow you to use your Bluetooth headset to convert your speech to text with admirable accuracy. This spartan yet powerful app boasts support for emoticons, sounds and basic text formatting. Managing files on a mobile device is always going to be a bit more tedious than it is on a PC or Mac laptop. Accessing files on a remote device is even more of a pain. Bluetooth Explorer Lite takes some of the hassle out of the process by enabling users to create, delete and transfer files and folders using nearly every Bluetooth headset on the market. If you’re the type of person who has dozens of custom keyboard shortcuts defined on your home PC, then Headset Droid should be of interest to you. Simply put, it allows users to map actions to a Bluetooth headset’s various buttons. Without touching your Android phone, you can use Headset Droid to perform Tasker searches, launch programs, skip through audio tracks, change the volume or dial contact numbers. Stand-alone webcams aren’t as popular as they used to be due to the fact that most laptops come equipped with them by default. However, there are plenty of older desktop PCs that lack built-in webcams. You can use your Android phone as a wireless webcam through the magic of DroidCamX Wireless Webcam Pro, a handy program that uses Bluetooth to stream video to your PC. 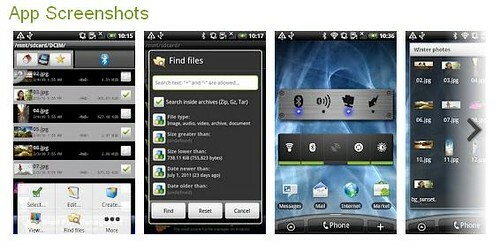 Those in need of a robust FTP and OPP client for Android need look no further than the superb Bluetooth File Transfer. Thanks to its rock-solid AES-256 encryption and aggressive security settings, users can manage file transfers between all manner of devices with total peace of mind. It can search within ZIP and TAR packages for files, display thumbnails of media files and compress files prior to transferring them. Now that increasingly powerful mobile devices have achieved widespread adoption, we can expect to see further Bluetooth innovation as well. Though newer wireless technologies like NFC are getting all the press, Bluetooth is far more mature and secure. As a result, Bluetooth is the go-to standard for hardware and software developers who are looking to take wireless networking capabilities and performance to the next level. Today’s feature contributor Jenny Wadlow is a freelance blogger. Music has always fascinated her and many of her articles focus on music related gadgets. She is currently working with www.headsetsonline.com.au , which deals in Bluetooth headsets. You can follow her on Twitter @JennyWadlow. Have you had the frustrating experience of repeatedly trying to connect to the internet via your Wi-Fi router in some other room at home, but not having any success? Or perhaps you have thought about how nice it would be if you could chat with your online friends while you’re clearing out your basement, but don’t know how it can be done? Welcome the network adapter from Amped Wireless. Amped Wireless is one of the foremost manufacturers of powerful long range wireless communication products for both commercial and domestic use. Recently they announced that they were launching an adapter that would enable users to access the internet and networks from any room in the house with the help of the power outlets they already have; there is no need for any extra electrical wiring work to be done. The PLA 2 adapter will also enable users to extend Wi-Fi range. Dubbed the PLA 2 Powerline Nano AV500 1- Port Network Adapter kit, it has two paired Powerline network adapters. Spokespersons from Amped Wireless reiterated that the company was committed to providing solutions for customers who need to extend networks. In homes where there are thick concrete walls, Wi-Fi may not be very effective. This is where Powerline comes in, it eliminates Wi-Fi dead spots, and provides the perfect solution: plug and play. Gaming consoles and audio visual devices can also be connected to these adapters. In short any electrical outlet at home or your office can be converted into a network connection. The connectivity can be extended as far as your backyard, garage or basement. If you are looking to extend your Wi-Fi signal you can do so by combining a Powerline adapter with the company’s high power Wi-Fi Access Points. Network adapters of this type have been the talk of the town in recent times. Data travels faster thru electrical systems as compared to wireless or Wi-Fi connections. These connections are also not vulnerable to interference in signals, which is not the case with wireless. Amped Wireless claims that this is the smallest adapter of its kind in the industry. Each adapter has an Ethernet port and a power outlet passing thru that will let you connect your laptop, TV or some other device. Using this is super easy. All you need to do is plug an adapter into a power outlet near you and use an Ethernet cable to connect it to a router. The second adapter should be plugged into another power outlet on the same system, and then connected to an Ethernet based machine. So it is completely hassle free and very quick. And it is safe. The PLA 2 adapter had 128 bit encryption so that your network will not have any intruders. As the adapter is compact it can be installed with minimum fuss, and you also have space for other appliances to be plugged in. The PLA 2 network adapter is available on the company website for $ 99.99 from next week it will also be seen on retailer’s shelves and with select online sellers as well. There’s no doubt that wireless gadgets are increasingly popular in today’s marketplace. Statistics show that consumers are ready for them, too. According to data from the National Center for Health Statistics, just over 35% of American households were considered “wireless only” in 2012, meaning they solely communicated via mobile phones and didn’t have a landline. This is compared with only 10.5% of households of that nature in June 2007. However, there are other ways to enjoy of a wire-free way of life that aren’t related to telephone communications. Keep reading to learn more. If you can’t get through the day without a few tunes, consider investing in a wireless music system. Many models are compatible with your computer or devices such as iPads. Usually, they work out-of-the-box, so you merely have to input your home’s wireless access code into the system to get connected. Some choices even incorporate Internet radio stations and allow you to listen to broadcasts from well-known media outlets such as the BBC, without even having to go online. You can catch up on happenings in the United Kingdom or almost any other country in the world without having to pay for expensive airline tickets! In the past, anyone who wanted to be alerted to the presence of a home visitor had to settle for a traditional doorbell, which usually required complicated wiring procedures and professional assistance. Now things are much easier, thanks to the innovation of the wireless doorbell. It works through a transmitter that sends a signal when someone presses the doorbell button. A receiver simply plugs into a wall outlet, and is ready to go in just a few minutes. Clearly, these offer advantages for people who are technically challenged, or rent an apartment where it may not be possible or practical to install a wired solution. They are also very handy for people who live alone and want to focus on personal safety and heightened awareness. Families are often rightfully concerned about staying secure as well, but people who live alone are often seen as easy targets. Sometimes, a particularly dedicated intruder might stake out a property to determine seemingly small but important factors such as whether or not a doorbell or similar alert system is installed on the premises. Although a wireless Internet connection helps many of us get work done from anywhere, there are other similar options that also appeal to people who want to be productive both at home and work. Several office equipment collections feature wireless printers, scanners and fax machines. Like many other wireless technologies, these work off of an existing wireless network, and can be used with any computer that’s been properly set up to work with the device. Understandably, they work wonders for people who need to stay on task, but don’t necessarily want to be tethered to their office desk. When a wireless router is close enough to wire-free office equipment, people can send jobs to the device from almost anywhere in the home or office. This feature also works particularly well for those who spend time in a multilevel building, because they can send several jobs at once, instead of wasting time walking back and forth to fiddle with a traditional wired printer. As these three examples demonstrate, wireless technology can keep you entertained, safe and productive. Try some of them today and look forward to a lifestyle that’s free of pesky wires. Claire Taylor writes articles for several tech sites. Wireless devices are very handy and come in just about any electronic product made. For your home you can get wireless stereos, wireless game consoles and a wireless door chime. More and more people these days are throwing out their old headsets and going with the wireless options. Not only are they more affordable than ever but they come with all sorts of features and great things that are going to keep you focused, minimizing distractions and making sure you get more done each and every day. With so many benefits, we can’t imagine ever wanting to go back to being tied down when it comes to our headphones. It’s strange how such a simple and seemingly small upgrade can literally change your entire everyday life. As always, be sure to let us in on your own personal favorite reasons for switching so that our readers get personal advice from each of you. We love to bounce ideas off of one another and learn from each and every one of you, so don’t ever hesitate to speak up because we are always happy to hear what you guys have to say. If you lead a busy life like so many of us do, then you are probably used to needing to do more than one thing at any given time (or at least attempting). When you upgrade to a wireless headset, you are going to be able to get many more things done at once, which is always a good thing. This means, less time stopping the task at hand and more possibilities for you to be able to get up and move around without telling that person on the other end of the conversation that you will be right back and things of the sort. One thing that many people complain about when they are tied down by their headset is the fact that they aren’t able to get up and move around. Especially if you work from home, it’s important that you take time to stretch each day and keep your blood pumping or you are probably going to require more breaks as you become much more tired when sitting in place for too long. When you’re not stuck in a single room or location, you are bound to be much more productive because you won’t feel as confined and stressed. Need a breather? No worries because all you have to do is get up and you can still hear whatever it is you are listening to; whether it be that new song of yours that calms you the most or that important business conference call. A lot of the times, when you are stuck wearing a headset that has chords, you are going to feel as though you may miss something. If you can keep your set on while you get up and move around, you are much less likely to miss anything. Even if you aren’t actually using your set, you can stand up; walk around and know that you’ll never have to apologize for not being able to call someone back. Batteries that come with wireless sets are pretty amazing these days. They are actually able to hold a charge for as much as 10 or even 12 hours. Can you imagine just how much you could get done in that amount of time? Not needing to worry about charging constantly means you can focus on the tasks at hand and worry much less about whether or not your headset can handle the day. As much as none of us want to admit it, we must face the truth; there was probably some point along the line where you had your chords get in the way. Maybe you tripped on them or got them stuck on something; not only are chords a pain and a danger, but they also make the area look pretty messy. Who wants to deal with tangled chords and a complicated untangling process? Not anyone we know and that’s because we have all moved away from chords forever. We didn’t even look back or miss them one step along the way because all they seemed to do was hold us back and add stress to our day. Another great thing about the newest headsets these days is the fact that their controls are easier than ever to use. A lot of sets today actually have a volume control on the side. Especially if you are a gamer, you are going to be very excited about this. Not like the current controls provided on your set? The good news is you can change the buttons so that they are able to control any key on your keyboard. This way, you can get the customized uses that you require for your unique needs. Nelson Richard is the author of this article. He works for Addicted to Audio. It is a company that deals all kind of technological products and gadgets like earphones, CD Players, amplifiers, headphone amplifiers, loud speakers, desktop speakers, etc. Cable companies charge an arm and a leg for the services they provide. In most areas, the local cable company has a monopoly on the market, meaning they can charge what they want and raise prices at any time. These businesses are well known for their lack of customer service due to the fact that they have no competition. Often, a cable company is as irritating as it is expensive. More and more often, former cable customers are turning to the internet to watch the shows they prefer. Online services can provide viewers with streaming television programs. Many choose to rent popular television programs so that they may watch them easily and at any time. It is not unthinkable that the internet could replace cable TV as the world knows it. Depending on where one lives, individuals could spend as much as $40 to well over $100 per month for basic cable services. Each package of channels and every premium service can add, sometimes significantly, to the total bill. Most cable companies also charge a monthly fee for cable boxes and other equipment. The cost of cable repair can be significant as well. According to a recent Zogby poll, the amount of time lost waiting for the cable company to show up has cost the American public about $37 million in one year alone. Each time the cable stops working, individuals must stay home as they wait for the repair person. Otherwise, individuals risk wasting money on a non-working service. Cable companies enjoy bundling packages so that they might offer a savings on one or more of the items offered. Generally, these items will include the cable service, telephone service, and internet capabilities. The discounted rate is usually about $20 to $50 per month. The average household can pay $200 or more for all of these packages combined. Hundreds of stations are offered through cable services, though most of them go unwatched by the average household. Likewise, many of the shows that are available on these various channels cater to a niche market. Luckily for all members of the household, many of these programs are available online. Nearly every network has its own web presence, and many of these offer complete programs for free within a few days to a couple of weeks from the time the original show aired. This can allow for a cable cancellation with no repercussions. For most households, there are a few channels that are preferred. In most cases, the programs on these channels can be found through streaming online content. A pay service for a streaming service costs about $8 per month. Video game consoles have apps available to run these services on the TV, the websites are accessible through the computer, and many mobile devices are capable as well. Currently, the average American household spends about $75 per month on cable services. A family that chooses to replace cable with streaming programs can save more than $800 per year. Even families that opt for regular DVD rentals can save more than $700 by cutting cable. Over the past century the way in which information is shared wirelessly has changed significantly. First radio and then television revolutionised how quickly people could find out about world events and enhanced home entertainment by a significant margin. Now in the 21st century the internet has superseded, or rather amalgamated, these services and with wireless internet access all of this content is available wherever you go. Wireless internet service providers come in two distinct forms and their contribution to the way in which we conduct our social lives and get on with our jobs is difficult to underemphasise. The first form of wireless internet is Wi-Fi, an extension of the fixed line broadband which connects most households to the web. The second is mobile broadband, a service which allows you to go completely wire-free on your smartphone or tablet for high speed browsing in areas with good network coverage. Wi-Fi in the home has made it much easier for multiple users to share the same broadband connection from a fixed line ISP (internet service provider). There is no need to hook up to your router via an Ethernet cable if you have a Wi-Fi enabled device and the kids can be chatting with friends on a laptop upstairs while mum is in the living room enjoying as spot of online shopping from her iPad without interrupting one another. Wi-Fi has also revolutionised home entertainment because smart TVs, set top boxes and games consoles can all take advantage of wireless internet connectivity to turn your movie room into a multimedia hub. Video streaming and on demand services work great over Wi-Fi and you will not need to drill any holes in the wall or drape wires across open floor space if you have a wireless router at home. Mobile broadband took off in a big way once 3G networking was widely available, but even faster speeds are possible thanks to the gradual roll-out of 4G networks across the globe. Mobile broadband is most commonly found on smartphones and the more expensive tablet devices, although anyone with a laptop can enjoy the same type of service if they invest in a USB mobile broadband dongle with one of the many network providers who work in this sector. Mobile broadband is obviously more flexible than Wi-Fi because it does not have to involve a landline connection and can be accessed across the country, provided there is network coverage from a nearby cell tower. The other side of the story is that you will usually have to adhere to a data allowance each month on a mobile broadband tariff, which can restrict the amount you will be able to use it when compared to Wi-Fi. In addition the download speeds on 3G mobile broadband are still inferior to Wi-Fi and 4G networking is still only available in a small number of countries, so wireless ISPs need to roll out this next-gen technology at a faster rate. With the spread of wireless internet access, most people cannot remember a time before they were able to check Wikipedia from their sofas or stream a movie on the train to work. This makes the times during which you are unable to get online wirelessly even more problematic and highlights the importance of the contribution of wireless internet to the modern world. Shirley Jones is a freelance content writer and she writes articles and blogs on wireless internet service providers and other internet service related technologies. Similar to most wireless PC to TV converter, the HP Wireless TV Connect also come with two boxes where one is transmitter and the other is receiver. The transmitter is for you to connect to your PC/laptop and the receive is to connect to either a TV or projector. The two boxes are carrying equal size of 4.5 x 4.1 x 1 and the chasis is design with a sleeky black plastic material. The device seems to be bulkier compare to the Warpia StreamHD, which merely needs a compact USB dongle. The transmitter comes with an USB and HDMI port; while the receiver features with USB, HDMI, and a power port. The front of both boxes have 2 LEDs: the white LED indicates the device is on and the blue light indicates a connection is established. Two boxes also come with reset buttons. It is very easy to set up this HP Wireless TV Connect. The laptop side box has an image of a PC and the TV side box has an image of a TV. The TV box contain a HDMI port for you to plug into your TV’s HDMI port. A power adapter is available for you to plug into the wall power socket. The laptop box is also having a HDMI port for you to plug into the HDMI connector of your laptop; while the USB port is for you to plug into one of your laptop’s USB ports in order to supply power for the box. All the required cables are provided and are properly coded with color so that you will have no difficulty at all to connect them to the right ports. There is no drivers required for installation. You can just connect both boxes and switch your TV to the right input. Once everything is done, you can just turn on your TV and you will see the picture is switches to the TV automatically. You will need to press the screen sharing key on your laptop in order for you to display your laptop content on the TV screen. To fit the display of your TV, you might need to shrink your screen when you are using the HP Wireless TV Connect. The audio will started playing on the TV through the HDMI connection. This device has a PC hanger the hangs off of the back of the laptop that you can use to hold the box on the back of the screen. When display the picture on the TV, you will find the action is smooth without lagging, I did not find any latency at the time using this HP Wireless TV Connect. HP offical website claims that it is not more than 1ms latency and I think they are being right. Even the quality of the image display on the screen is not of top quality, but overall it is still good. In case you not realize, actually the technology of lossy compression is used when you want to send image wirelessly and quickly. 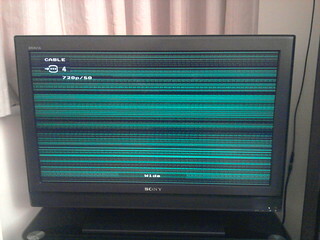 Thus, if you take a closer look on the screen you will find the compression artifacts. Nowadays, the world has enhanced in technology in every aspect of life. Indeed, that when it comes to telecommunications and this change in technological world customers are provided with a variety of choices. But instead of making life easier for the customers, it makes it even worst and confusing for the people and everybody will agree on that. But here in this article, we will study those aspects of offers which for us, this is the best and cheapest in the market. Knowing the cheapest wireless plan is very important in today, as everybody in this world want to save money or tries to limit its budget plan. Comparing wireless plans is the best thing we can do to save money while purchasing a phone. This wireless phone industry is like an explosion, that occurs in last ten years and it has more than 250 million subscribers around the country just for a short span of time. Cell phones have become part of our daily life and they are almost like a necessity for everyone in this world. That is why competition also increases in this industry as more people are investing in this field to get the profit and advantages in this industry. Now, if you are trying to find a phone for yourself and you have selected the prepaid phone plan services and for an instance you buy a ten dollar card, the disadvantage of that card will be that the charges will be high as compared to the charges of the high priced cards. Also, if you will buy a twenty dollar card, you will find that the charges goes down considerably and if you are searching for the cheapest plan you can get it with only thirty dollars. But keep in mind that it will also be limited to the sum limit and above that limit you will be charged on high rates. There are some companies that provides forty dollars plan in which you can do unlimited national calls but the draw back of this plans is that the companies are just offering coverage only in the main cities. One of the companies also introduced a new offer which charges you with fifty dollars per month and that company has good coverage that covers the whole country and hence this is the best available free plan in the market today. Some companies have launched many programs in which they give incentives to the person who refers there product to the other people. One of the offers is that if you recommend three people you will get a free unlimited national calling phone plan for free. In addition to this other offers are also available like they are offering the budding entrepreneur and lucrative cellular market so if you are comparing wireless plans you can find the best and the cheapest free cell phone plans but it’s also proven that you need to struggle to find plans according to your needs. Family wireless plans are the kind of wireless phone plans which provides many benefits for the people while calling to family members. Some are low rates and each line got a low line rate so calling is free among all the number of minutes. It also provides you with free minutes every evening and other free minutes on the weekends also. Unless your phone provider is not providing the family wireless plans you don’t have to change your plan. If you want to change your provider then it should have a valid reason behind it as all the companies provide almost the same plans with a little change of price or almost at the same price. There are few companies who offer something new, like they provide you with discounts on up gradation of the plans and also give some premium services along with it. Many companies are offering new phones for free or at discounted rates, when you add another member and get an additional line on the family cellular phone plans. Another advantage of additional line is that it has very low monthly fee as compared to other services and many devices and services that you can get or get off according to your need. It also provides you with added free minutes at a set price and this will help you in preventing from over usage charges. Another advantage is that you can also use the free minutes of calls that have left unused if you have any from the previous months. Family Cellular Phone Plan best suited for? The family wireless plans are best for those people who talk a lot and they need to talk with a circle of people often times. This is really a benefit for these people and another thing; they also don’t also need to live in the same state to get the benefit of the family plans. For parents that their children have already grown and having their own family, family wireless plan is the best choice for them. Keeping in touch with them is easy because in family wireless plan there is a low monthly charge on every line and also every user can get the maximum of the utilities provided by the company equally. For the families that are living in different places, these families cell plan will help them a lot and these will save your money. This is also very helpful for those families like new couples who tend to talk to each other very often; it is also the best choice for them, because you can talk to each other without limit. Therefore, the end result of this whole article is that the family cell plans are very helpful to all type of families and ideal way to use and also it’s very economical as compared to other market plans by providing lower rates and fixed free minutes so that the total expenditure can be easily controlled. Today’s market has a huge competition and to compete in such situations, companies tend to get the minimum profit and which results in less cost of the product and this is also applicable in the market of wireless phone plan. Huge corporations are giving huge deals to compete with the other organizations. The trend from land lines are now shifting towards the wireless or mobile solutions and phone bills are financial setbacks for the general public. So a free wireless phone is a revolution in this regard which leads to a new direction. Remember the history; it starts from the phones which are used to call relatives, friends and neighbors. Then a change took place, mobile phones have taken the place of land lines and home phones. A short period after that another change occurs which is texting which is not only popular in the youth but it’s also a need of the most of the population. Now, services are further enhancing in the form of free wireless phone plans and along with data plans and services. Now all these utilities are merged into one single concept that is to be used as into a receiver. The drawback of this is very simple to understand, the more number of companies are investing the more they charge their customers. As a result to this, they focused on the free wireless phone plans. It looks like that they don’t want to make it easy and cost efficient solution. When a person understand the burdens of cell phone and the cost of web browsing on it then he tries to find out a more practical way of solving these problems and goes to the option that is free of charge. Below are some of main points about the free wireless phone plans. The services for free wireless plans vary in different countries but in general you will qualify for it if you follow the following steps. 1. You are already a member in some other government plan. 2. Your total income in a year is at or below than the 135% of the poverty guideline set by the government. 3. No one of your family member is already receiving this service from any other provider. 4. You have a valid address so that the phone can be mailed to you and your residence is near the post offices so that you can collect the mailed phone and keep in mind that the p.o. boxes are not accepted by every company. The free wireless phone plans and services are beneficial for someone that don’t want to get all the modern way and facilities and want to use it as an occasional phone to keep in touch with family and friends. It has a result of great bit of benefit to those people who are struggling in the economic downturn. So try these points in mind and then decide about its need if its suits to your income, then decide wisely about having the free wireless plans.